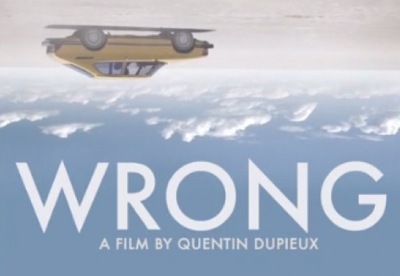 The infamous Quentin Dupieux, aka musician Mr Oizo, the director of the movie about a car tire on a killing spree ‘Rubber’, is back with his newest absurdist comedy ‘Wrong’. With Rubber being an extremely divisive film, and Dupieux’s penchant for the bizarre, I knew this would not just be simply a story of a man trying to find his lost dog. I also knew that this was likely to be the most loved and most hated film of this year’s Toronto After Dark lineup. This entry was posted on November 5, 2012 by moviejunkieto. It was filed under Film Festival, Reviews, Theatrical and was tagged with absurdest comedy, Alexis Dziena, Eric Judor, film festivals, Jack Plotnick, Mr Oizo, Quentin Dupieux, Regan Burns, Rubber, Steve Little, TAD, TAD 2012, Toronto After Dark 2012, Toronto After Dark Film Festival, WIlliam Fichtner, Wrong Movie.